We’ve all heard of the term “the house always wins”. Generally speaking, players have the odds stacked against them when playing against a casino or “the house”, because let’s face it, the gaming industry wouldn’t be able to stay in business if it wasn’t very good at taking players’ money. However, not only have games been won by players inside the casino, but outside its realm as well. Despite the fact that there are games for which the rules are clearly stated, such as poker, blackjack or baccarat; there is a game that exists where the rules are often much more complicated. We of course are referring to the legal game – casino lawsuits. The notoriety of the legal systems in countries like the UK or the United States and the high-profile legal battles that come with them are no secret to the general populace, especially when there are large sums of money involved. We’ve all heard of the story of the woman who sued McDonald’s successfully after spilling a cup of hot coffee in her lap. Or story of the man who sued the energy drink giant Red Bull for false advertising, claiming that RedBull doesn’t actually give you wings. And because casinos are businesses, they are no strangers to lawsuits either. The legal world in fact often overlaps the gaming industry. Fortunately, most players understand how to play responsibly and know how to deal with the risks involved with high stakes poker games or when to walk away from a big jackpot slot machine when it’s not paying out. But there are some individuals who are simply unwilling to walk away quietly, especially when lady luck is not on their side. Or some poor souls just happen to be at the wrong place at the wrong time. So we’ve compiled a list of the top 6 most outrageous casino lawsuits. In 2008, Arelia Taveras, a lawyer and compulsive gambler from Queens, New York was not doing too well financially. After a series of heavy losses at her favorite Atlantic City casinos, her blackjack debts added up to the sum of $1 million. As if losing all of her own money wasn’t enough, Taveras even gambled and lost client money; and over the span of just a few years lost her license, legal practice, her home and even her parents’ home. So she decided it would be a good idea to sue seven of the biggest Atlantic City casinos to the tune of $20 million! She claimed that the “Defendants (casinos) facilitated her gambling addiction and induced [her] to gamble away money belonging to her and others”. In one instance, she mentioned spending five days consecutively gambling at the Resorts Casino, surviving solely on complimentary chocolate bars and orange juice. Furthermore, she pleaded 12 separate causes of action against the casinos and claimed “intentional infliction to cause emotional distress”. As a (former) lawyer, she went on to try every trick in the book to get the law on her side, but the New Jersey courts were not willing to rule in her favor. The judge in charge of her case simply stated that as long as casinos, and their executives, obey the rules mandated by state law, they could not legally be held responsible for the harm compulsive gamblers do to themselves. Avoid Areila’s fate by playing blackjack both responsibly and well. Check out these 4 blackjack tips for casino newbies or our advice on Blackjack money management to keep you on the right side of the law of odds. One thing that casinos are sure to offer to their patrons on top of gaming is alcohol. After all, drinking and entertainment often go hand in hand. That is of course, if the two are practiced in moderation. Otherwise things can get, well for lack of a better phrase, out of hand. This unfortunately was the case with U.S. businessman Mark Johnston, a 52 year-old California native and car salesman who, in 2014, spent a Super Bowl weekend at the Downtown Grand Casino in Las Vegas for a weekend of fun and gaming. However, before arriving to the casino, Johnston had spent a large part of the day binge drinking, having consumed some 10-12 cocktails before playing. Upon arriving to the casino Johnston then proceeded to go on a 17-hour gambling and drinking binge that resulted in him losing over $500,000 in markers (a casino line of credit) at the casino tables. After losing, and presumably sobering up, Johnston refused to pay back what the casino demanded, and claimed that he had no recollection of the incident, simply because he had been blackout drunk at the time. As a result, he filed a lawsuit against Downtown Grand Casino stating that not only was the casino fully aware of his inebriation, but its employees encouraged his drunkenness by serving him more alcohol, some 30 drinks in total! Although Nevada gaming laws state that “patrons who are visibly drunk are not meant to gamble”, the casino claimed that Johnston did not appear drunk, and apparently this was enough to convince the courts and his lawsuit was dropped. Fast forward one year later, and still owing the casino money, Nevada police were forced to issue a warrant for Johnston’s arrest after he failed to appear in court for a preliminary hearing. Who knows what will happen next but hopefully these tips on proper casino etiquette will keep you out of the black (out) and in the rosy red. Many of us dream of the chance of winning a jackpot, especially one that is in the millions. This dream became a reality for Katrina Bookman, but unfortunately her reality would soon turn into a nightmare. Bookman played the Sphinx Slot Machine at the Resorts World Casino in Queens, New York back in 2016. After placing her bet, the machine told her that she had won a jackpot worth $43 million. Ecstatic, Bookman took a selfie with the penny slot machine and proceeded to collect her winnings. This would have been the single largest slots jackpot win in U.S. history, except for one thing, the casino told her she hadn’t actually won anything. Instead of the jackpot, they proceeded to offer her $2.25 (her actual winnings) and a complimentary steak dinner. Naturally, infuriated, she refused the casino’s offer and demanded her “rightful” money; but when the casino was unwilling to do so, she decided to sue for the full amount of the jackpot. The reason for the casino’s rejection was that they claimed the slot machine win to be illegitimate. According to them, the figure displayed on the machine’s screen was actually nothing more than a computer glitch. This fact was later confirmed by the New York State Gaming Commission, as it is extremely unlikely for a penny slots machine to have such a high jackpot. The commission even pointed out that the machine had a clearly labeled disclaimer stating, “Malfunctions void all pays and plays.” The case is still ongoing, but one can only imagine who the odds will favor this time. In April 2014, David Moradi was attending the Marquee nightclub as a special VIP guest. However, things took a turn for the worse when club management and security harassed him and physically assaulted him because, according to them, he had not paid his $10,000 bar tab. After the incident, Moradi, a multi-millionaire and successful New York hedge fund manager, told police that he was forced into a back room and violently shoved and repeatedly smashed into the concrete floor despite having already paid his bill. A Las Vegas hospital later diagnosed him with a concussion, bruised eye, neck and shoulders, and a neurosurgeon officially stated that he had suffered a traumatic brain injury as a result of blows to his head. Whatever really occurred remains unclear due to the fact that there was no video evidence of the incident, but the evidence of Moradi’s physical condition was hard to dispute. The result? Moradi filed a lawsuit against the nightclub for damages resulting from his inability to run his own hedge fund because of the brain injury. The verdict? A jury awarded Moradi $160.5 million in damages. Though this verdict was later overturned, Moradi and the nightclub’s management company Roof Deck Entertainment LLC eventually settled out of court for an undisclosed amount. One of the joys of playing in the comfort of your own home at Slots of Vegas is that, despite the size of your liquor bill, you never have to worry about being roughed up by some meathead. From 1997-2000, businessman Christian Hainz accumulated some serious gambling debts to the sum of €2.5 million with two Swiss casinos run by Austrian based company Casinos Austria. Hainz claimed that his heavy losses were the result of a three year betting binge at the casinos’ blackjack and roulette tables, and because of his serious gambling addiction he was unable to stop. Hainz decided to file a suit, and claimed that the casinos did nothing to prevent his playing excesses despite being aware of his “condition”, exploited him for his money and as a consequence he lost his business. The real controversy came however in 2004, when Hainz actually managed to have the Austrian Appeals Court rule in his favor, and the casinos were ordered to reimburse him a total €499,729 for his losses. Considered by his lawyer as a victory for Hainz, the landmark ruling set an alarming precedent for Austrian gaming companies who would later face multiple similar claims against them. However, rehabilitation groups such as Gamblers Anonymous, stated in a report that this type of legal recourse was not a solution, and in fact would only further complicate the underlying issue for compulsive gamblers as it merely tackles the symptoms and not the “illness” of compulsive gambling itself. The U.S. law firm Morgan & Morgan based out of Orlando, Florida is currently investigating the lawsuits of patients that were prescribed the drug Abilify (aripiprazole) who developed habits of compulsive gambling. The drug, developed by the Japanese drug company Otsuka Pharmaceuticals and marketed in the U.S. by the pharmaceutical company Bristol-Myers Squibb, was originally intended to treat schizophrenia, but was later expanded to treat major depression and bipolar disorder most likely due to an increase in sales, making it the companies’ most profitable drug. The patients that were prescribed the drug claimed that they noticed an increase in impulsive behavior, with the most extreme cases mentioning compulsive gambling as a side effect. Mental health officials state that compulsive gambling can lead to psychological distress, health problems, financial harm, and social consequences. So this lead to The U.S. Federal Drug Administration (FDA) to look into the matter. By 2015, the FDA had investigated the cases of patients prescribed Abilify between the years 2005 to 2014, and were able to report 59 cases of compulsive gambling directly linked as a consequence. Not only that, more than 150 reports of compulsive gambling linked to Abilify were reported in the beginning of 2015 alone! So in 2016, based on the scientific evidence, European and Canadian health authorities forced Otsuka Pharmaceuticals to add warning labels listing compulsive behavior, including gambling, as a potential side effect of Abilify to its consumers. And the law firm Morgan & Morgan is seeking the same in the U.S. They state that pharmaceutical companies have an obligation to inform the general public of any potential side effects associated with their products, and that Otsuka Pharmaceuticals and Bristol-Myers Squibb are merely interested in profit instead of the general well-being of people. In 2007 alone, Bristol-Myers Squibb was forced to pay more than $515 million to settle legal accusations of paying kickbacks to healthcare professionals to promote its drugs, and for supposedly promoting Abilify “off label” for non-FDA approved uses. Even Otsuka Pharmaceuticals was forced to pay an extra $4 million to resolve similar allegations of illegal practices. The evidence is hard to dispute, but unfortunately Otsuka Pharmaceuticals and Bristol-Myers Squibb have yet to take steps to place any warning labels concerning compulsive gambling side effects for Abilify in the United States. And Morgan & Morgan has thus made it their duty to represent the people they feel have been wronged because of the consequences of Abilify and pathological gambling. Whatever the truth may be, it is going to be a lengthy legal battle because drug companies are known for having notorious lawyers and deep pockets. Whatever the case may be, gaming should be enjoyed responsibly. There is no limit to the amount of fun that can be had when taking a spin at a slots machine, advancing your skills as a player at the poker or blackjack table or simply betting for fun for a chance to win. Gaming can be very enjoyable, and is for most people. Many individuals use the money from their entertainment budget to go to a casino or a horse race, play cards online, slots or bingo, or have fun buying a lottery ticket. After all with the right attitude you could be a winner. So if you’re going to dream, dream big, and maybe even win big! 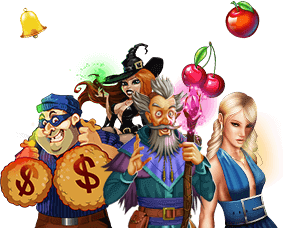 Sign up with Slots of Vegas today, and choose from one of our many incredible table or slots games for a chance to win. Or choose to play before you pay with our huge selection of free play games! Just click on the link below. We bring the excitement of Las Vegas to you!